State of the art proprietary UHP Pico-Ion sensor capable of oxygen analysis under 1 ppb and 18 month expected sensor life. Sensitivity 0.5% FS range, Accuracy +/- 1%. Fast recovery. Sensor has no maintenance, or water to add. Automatic ranging, Zero & Calibration. Communication link USB. Ranges- Standard: 0-100ppb, 0-1ppm, 0-10ppm, 0-100ppm. State of the art proprietary MS Pico-Ion sensor capable of oxygen analysis under 10 ppb and 36 month expected sensor life. Sensor has no maintenance, or water to add. Automated range, zero, calibration, data acquisition, system diagnostic functions. Ranges- Standard: 0-1ppm, 0-10ppm, 0-100ppm, 0-1000ppm. Proprietary Advanced Galvanic Sensor capable of oxygen analysis under 100ppb and 24 month expected sensor life. Sensor has no maintenance, or water to add. 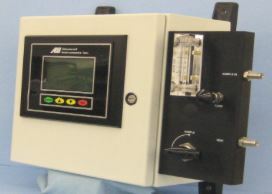 Automated range, zero, calibration, data acquisition, system diagnostic functions. Flow indicator and sample/bypass valves. Optional: 3 solenoid inlet valves control the introduction sample, span, zero gas to the analyzer enabling auto zero and calibration functions. Ranges- Standard: 0-10ppm, 0-100ppm, 0-1000ppm, 0-1%, 0-25%. Proprietary Advanced Galvanic Sensor capable of oxygen analysis from 0.05% to 100% and 36 month expected sensor life. Sensor has no maintenance, or water to add. Barometric pressure compensated. 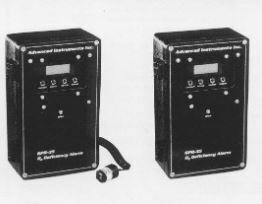 Battery back-up, dual OHSA Caution and Danger alarms with LED indicators. 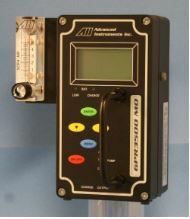 Optional High and Low alarms, 4-20mA signal output, remote sensor, integral sampling pump. 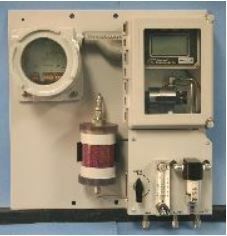 NEMA 4 configuration. Ranges- Standard: 0-25%. Proprietary Advanced Galvanic Sensorcapable of oxygen analysis under 100ppb and 24 month expected sensor life. has no maintenance, or water to add. ATEX certified Ex D IIB+H2 T6, CE. (Class 1, Div. 1, Groups B, C, D). Wall mount configuration. Ranges- Standard: 0-10ppm, 0-100ppm, 0-1000ppm, 0-1%, 0-25%. 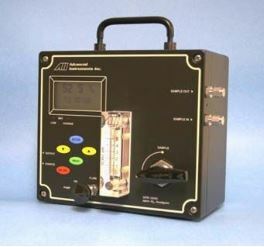 Proprietary Advanced Galvanic Sensorcapable of oxygen analysis from 0.05% to 100% and 36 months expected sensor life. has no maintenance, or water to add. Wall mount configuration. Ranges- Standard: 0-1%, 0-5%, 0-10%, 0-25% FS ranges. Proprietary Advanced Galvanic Sensor capable of oxygen analysis under 100ppb and 24 month expected sensor life. Sensor has no maintenance, or water to add. Intrinsically safe oxygen transmitter, ATEX Ex II 2 G, Ex [ib] IIB T4, Tamb -20 deg. C to +50 deg. C. (Class 1, Division 1, Groups C, D) Ranges- Standard: 0-10ppm, 0-100pp, 0-1000ppm, 0-1%, 0-25%. Proprietary Advanced Galvanic Sensor capable of oxygen analysis from 0.05% to 100% and 36 month expected sensor life. Sensor has no maintenance, or water to add. 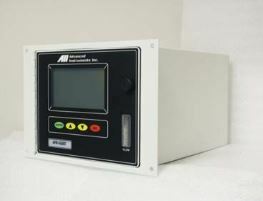 Automated range, zero, calibration, data acquisition, system diagnostic functions. Intrinsically safe oxygen transmitter, ATEX Ex II 2 G, Ex [ib] IIB T4, Tamb -20 deg. C to +50 deg. C.
Ranges- 0-1%, 0-5%, 0-10%, 0-25% FS ranges. Proprietary Advanced Galvanic Sensorcapable of oxygen analysis under 100ppb and 24 month expected sensor life. Sensor has no maintenance, or water to add. Meets recognized intrinsic safety (ATEX approval pending)standards for use in Class 1, Division 1, Groups C, D hazardous areas. Integral stainless steel bypass sample system not only extends sensor life but significantly increases operator productivity. Ranges- Standard: 0-10ppm, 0-100ppm, 0-1000ppm, 0-1%, 0-25%. Proprietary Advanced Galvanic Sensor capable of 24 months expected sensor life of continuous oxygen analysis above 99.5% pure oxygen. Sensor has no maintenance, or water to add. Barometric pressure compensated. 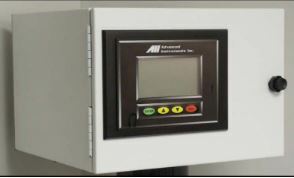 Automated range, zero, calibration, and system diagnostic functions. 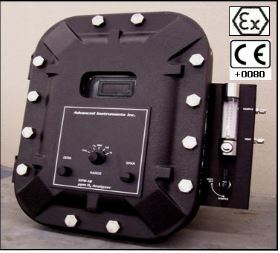 General purpose panel mount configuration with optional bezel for 19” rack mounting. Ranges- Standard: 0-100%; and, suppressed ranges of 50-100%, 80-100%, 90-100%. Proprietary Advanced Galvanic Sensor provides 24 months expected sensor life of continuous oxygen analysis above 99.5% pure oxygen. Sensor has no maintenance, or water to add. Barometric pressure compensated. Operates on rechargeable battery for 30 day duty cycle after an overnight charge. 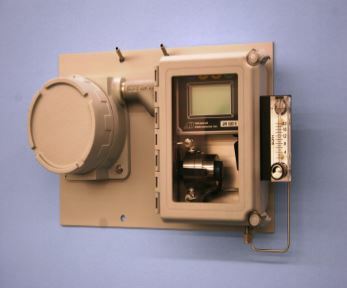 General purpose NEMA 4 configuration. Ranges- Standard: 0-100%.